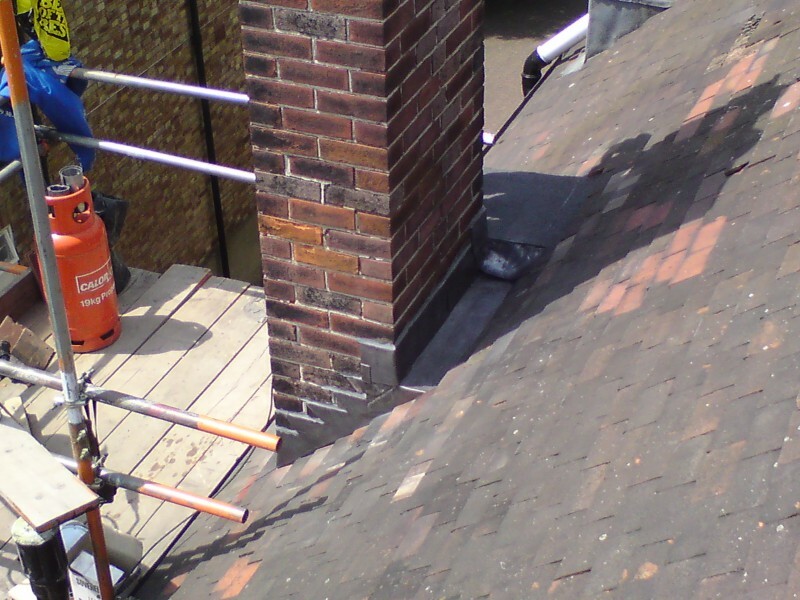 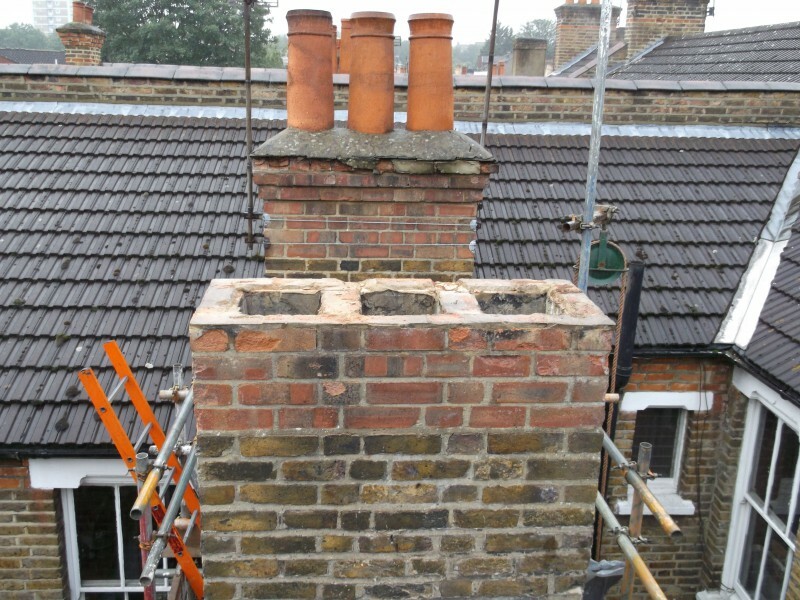 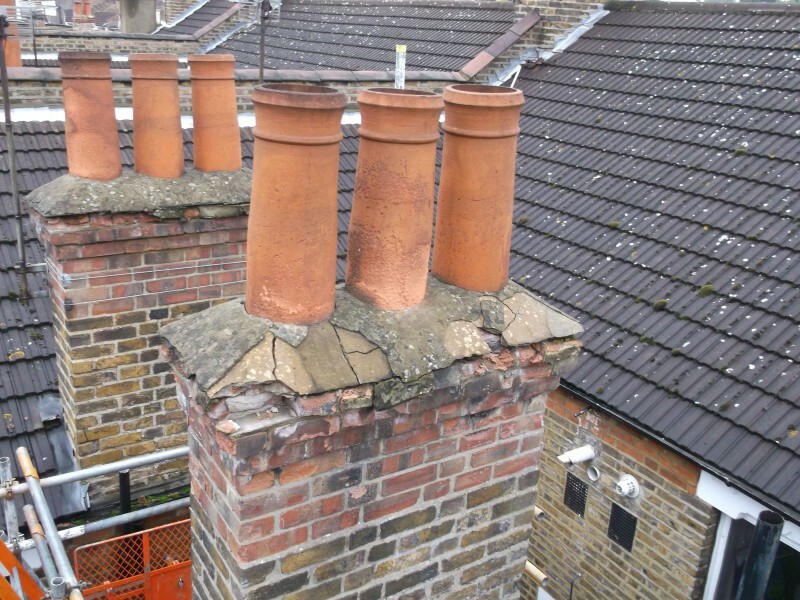 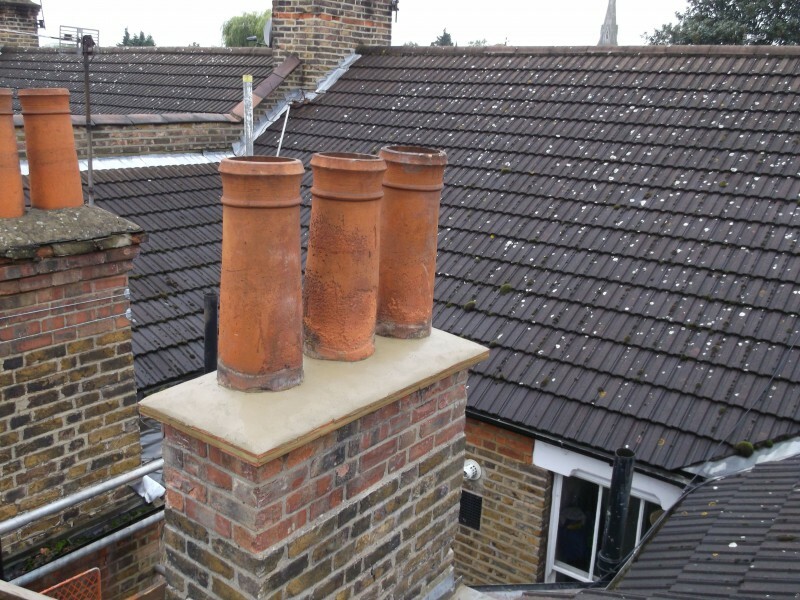 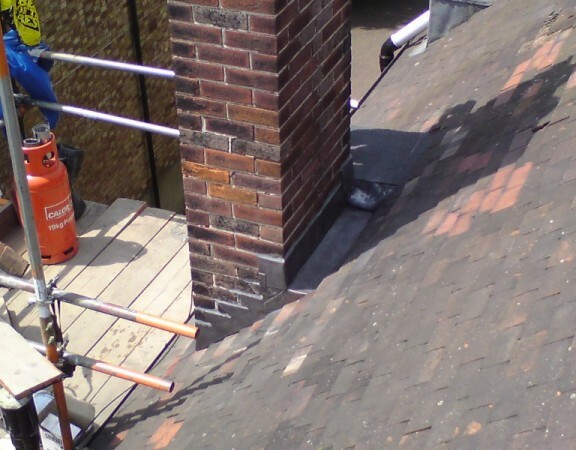 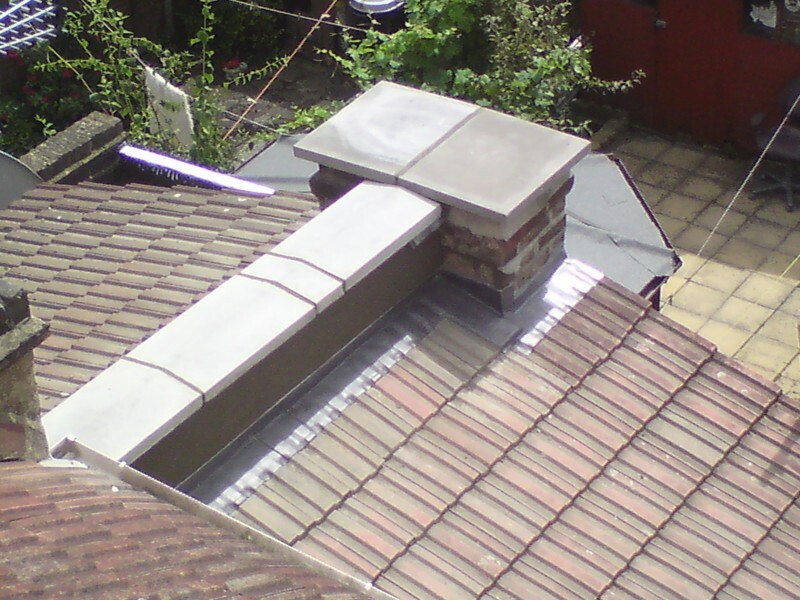 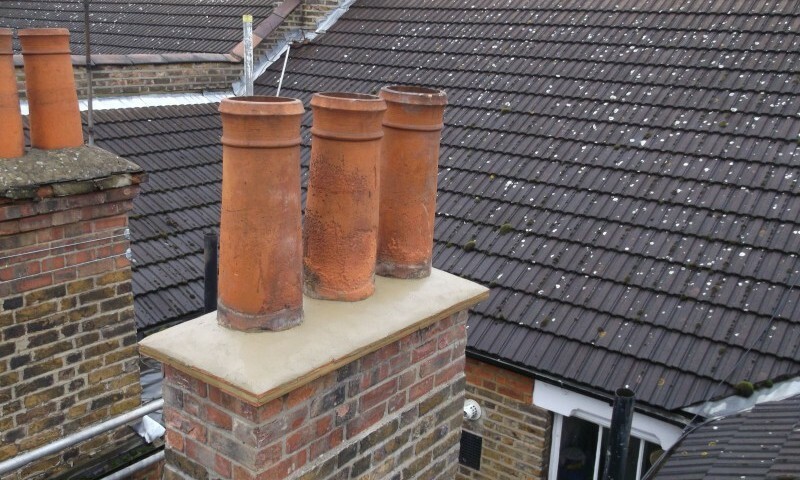 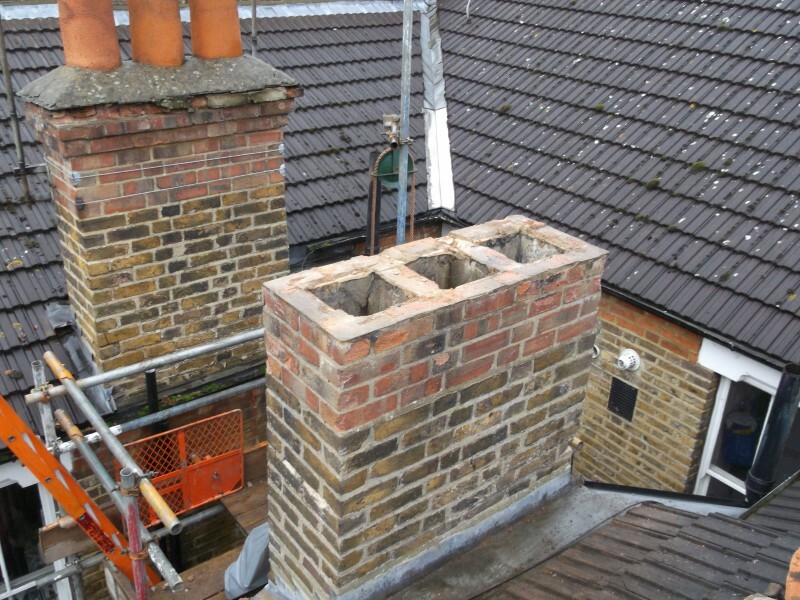 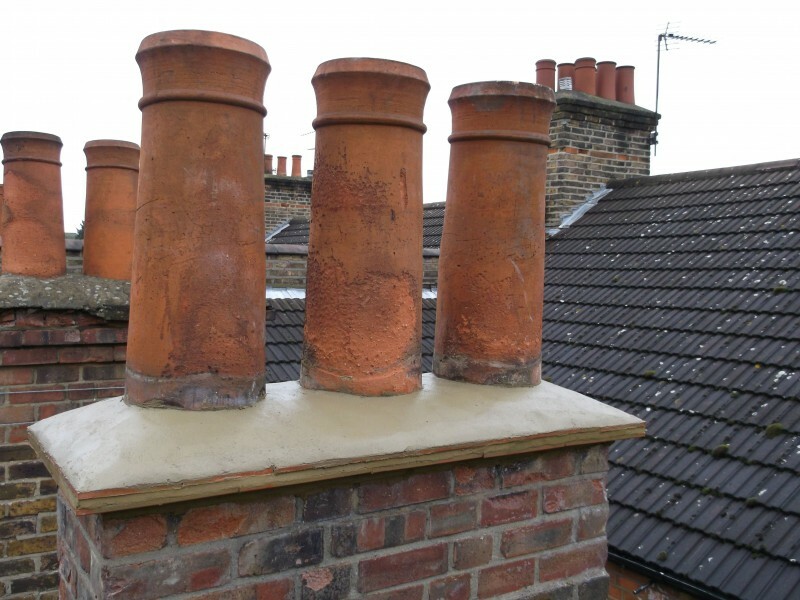 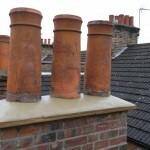 This chimney stack had been weathered and damaged by the elements for many years. 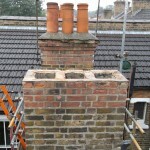 Little or no maintenance had been undertaken for some time. 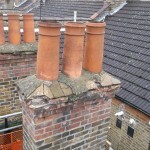 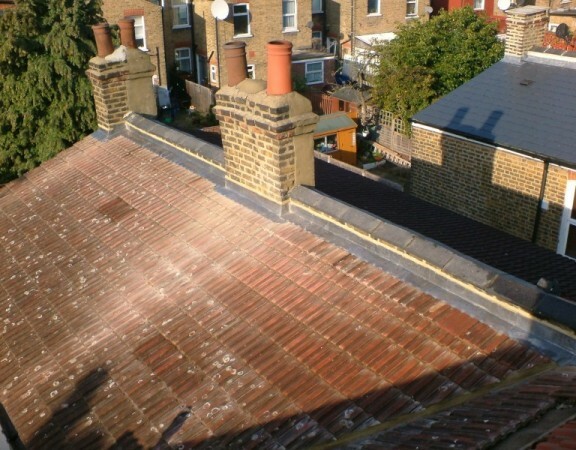 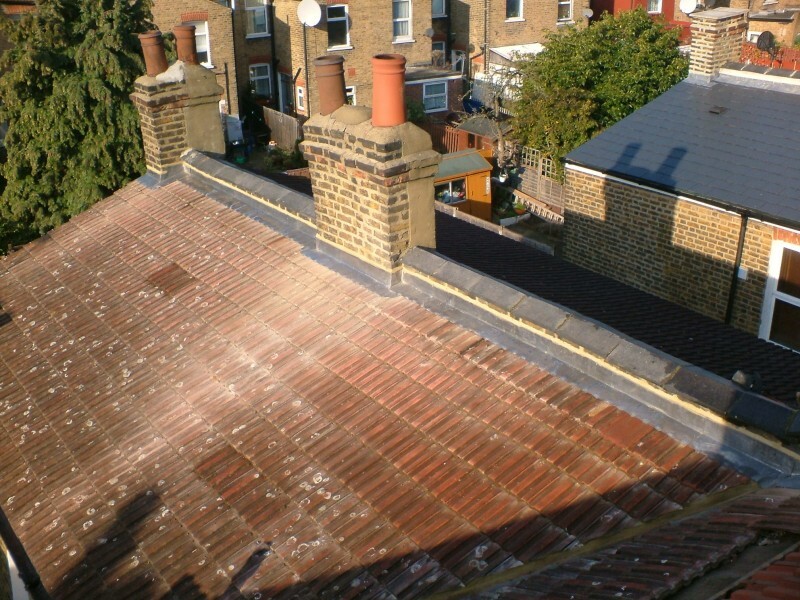 The over sailing course was removed and replaced with creasing tiles, the original pots were salvaged and re-fitted. 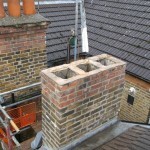 The top of the stack was then fully flaunched.